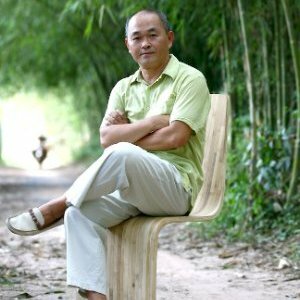 Hao Dang is a Vietnamese entrepreneur and owner of Grass, an enterprise that works to tap bamboo’s potential for high value addition in an environmentally friendly way. He has developed an e-commerce platform to help train local communities and artisans in bamboo design, and link them to global markets to sell their bamboo products. The system, which is running successfully in a number of Asian countries, also provides warehousing, distribution and access to e-commerce for people in rural communities. The aim is to link communities directly to markets, using this under-used renewable natural resource that is within easy reach. In its business model, Grass works with rural producers to help them develop added-value products that will attract consumers in high-income countries– a win-win partnership for the platform and communities. The company’s e-commerce platform is poised to train African artisans in design and value addition, connecting them to new buyers in Europe, Asia, and North America. Hao Dang: On a mission to ‘i-phonize’ bamboo products. I used to work for Apple computers and my mission in life is to ‘iphonise’ bamboo, meaning that, in the words of Steve Jobs, we are making ‘insanely beautiful’ bamboo products for inside and outside the home. So how does it work and where do get your bamboo? We take the raw material sourcing it from villages, then we design it and take the finished product to markets. We also train artisans to produce higher quality products, instead of selling bamboo as a raw material for very low value. The whole idea is value added. Given your experience, what potential do you see in Africa? Taking the case of Ethiopia, the country has unbelievable resources. In the lowlands there is the solid bamboo which is extremely valuable. All people need is to have training in design, to make products that are suitable for the western market. We can help them take those products to the global market, especially Europe and the USA. What kind of interaction do you have with local communities when you offer them training? It’s really hands on. We show them how to work with bamboo and how to make beautiful products from it. It’s really not that difficult. What is the key ingredient for success? For every single piece we make – and we sell more than 1,000 products – design is everything. If you add design, ideas and grey matter, you have added value. There are very high profit margins for producers. One large outdoor lighting fixture that we sell in the USA uses four bamboo poles with a combined value of US$5. The product sells for $5,000 and people love it. 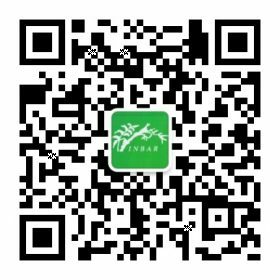 What is your message on bamboo to Africa? I would encourage entrepreneurs in Africa to start thinking about what they can do with material that is not being used right now. They have 1 million hectares of bamboo in Ethiopia. Think what they could do with it! Also, I would invite people not to think about bamboo as a cheap product, but as a high quality product. Quality is key. But the most important message is that it is possible. So please do it!